We have a strong mastery in developing native mobile apps for both Android & iOS apps. We are also experienced in developing cross-platform mobile apps. Our mobile application development team has developed numerous mobile apps that make us proud. Nowadays, Mobile app development is extremely essential. It's probably because of high utilization of mobile phones. We at Opula Software Development Private Limited have decent, experienced and versatile mobile application developers for both Android & iOS. Opula Soft mobile app developers have both the ability and aptitude to create innovative android and iOS apps for constantly changing market. Opula Soft's Android and iOS app development team is one of the most experienced, creative and leading mobile app Development Company in India. Whether you are looking to develop mobile application that are independent, client-server, web service driven or database oriented, our skilled mobile app developers will help you to accomplish result-oriented mobile app that meets your requirements. Opula Software has a strong mastery in developing native mobile apps for both Android & iOS apps. We are also experienced in developing cross-platform mobile apps. Our unique thought-driven development has already helped numerous clients to understand their plans for app development. We go far beyond of client’s requirement keeping in mind their idea of designing and coding and their motive of developing the mobile application. For years we have been developing unique, customized, seamless and high quality mobile apps with appreciated performance. 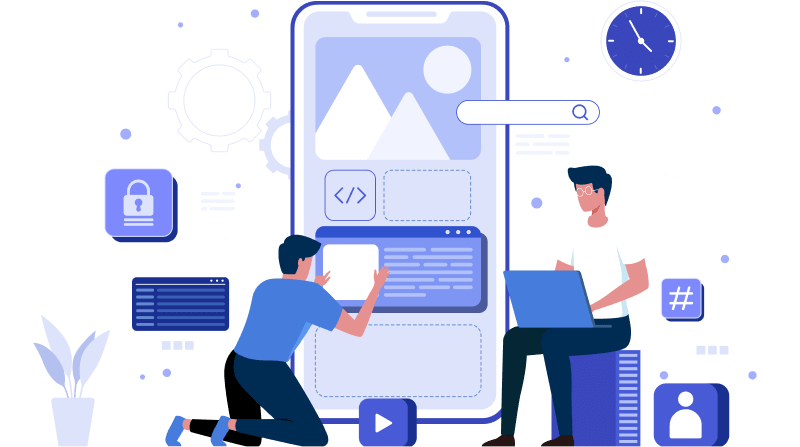 We are driven by the customer's needs and desires as we start each task by understanding their requirements so we can develop mobile applications that match them to flawlessness. Our team involves skilled designers who are focused on contributing their efficiencies to bring best outcomes. They have skill in making applications for various gadgets and working frameworks. We cling to due dates and bring managements that are sensible yet coordinate the most noteworthy principles.